[Please Mind the Platform Gap] So, you want to know more about Council? Part 1 – Our Delightful Departments! So. You’re in a dilemma. Should you run for Council? How exactly does Council work anyway? What do councillors even do? Fret not. The 33rd Students’ Council has put together a series of articles to tell you more about what exactly we do for the school (and YOU! ), as well as what to expect when you join us. Here, our Department Heads of the Welfare, CCAD, and Commz Departments, as well as our Council President, share about what each department does, and what we’re looking for in you. Read on to find out more about our 3 departments and our PresSecs (Presidents and Secretaries)! Your 33rd PresSecs (otherwise known as Pentatonix) are a group of five dynamic individuals who are very passionate in serving our peers in our capacity as leaders of the Students’ Council. Beyond our separate roles as Presidents and Secretaries, we also work together as a collective to oversee a number of crucial aspects of the Council such as Internal Welfare, and providing opportunities and facilitating reflection of Councilors. Let’s look at the roles of Presidents and the role of Secretaries first. Elected by the councilors and confirmed by the whole batch, the President and the two Vice-Presidents fulfill both symbolic and very practical responsibilities. 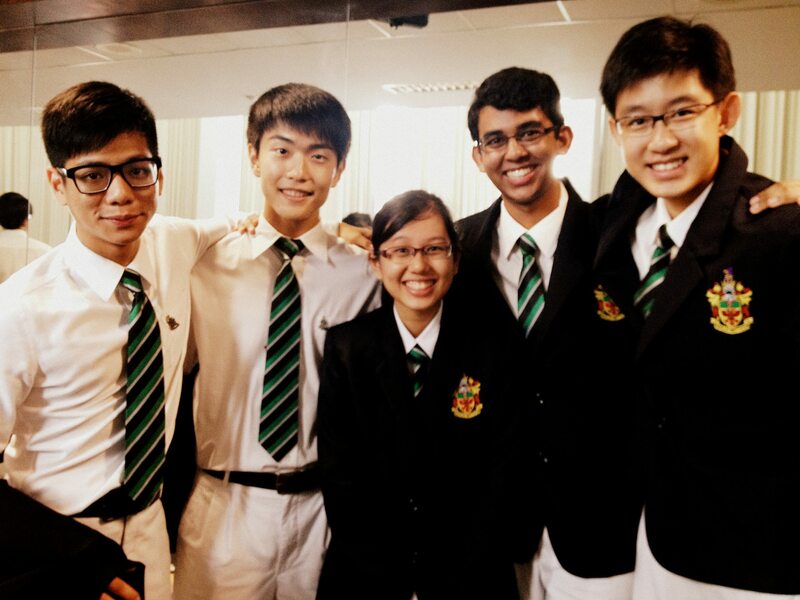 The more regular duties of the three include managing morning assemblies, meeting members of the school administration to relay feedback and discuss student-related issues, as well as planning and running the Council’s monthly General Meetings together with the Secretaries. The two Secretaries, one for Resource and another for Finance, whilst responsible for different administrative aspects, generally work hand-in-hand to ensure the smooth running of the Council. They handle critical processes such as attendance, availability of councilors, and mass dissemination of information; duties that are ostensibly trivial but are actually indispensable to a big organization like Council. As a group, the PresSecs work very closely together for initiatives that concern the whole Council and more, most notable examples are, Council Retreat and Council Elections. And as aforementioned, the PresSecs also perform several functions that are not as clearly defined as their regular duties. These include looking out for individual councilors who are struggling in coping with their workload, providing avenues for councilors to bring their own quirky ideas to life, and on a wider scale, keeping the Council united through practical measures like regularly updating everyone on the Council-related events so that all councillors are aware and included in all matters. Having said all that, ultimately the five of us are primarily concerned with the relationships and experiences councilors get out of the short time that we have. We approach all our responsibilities with the objective of being more inclusive and fostering a greater sense of belonging to Council and the wider school community because what matters to us are the People – the reason why we are here and the reason why we do what we do. The Rafflesian school spirit is something very unique. It is something that almost any Rafflesian anywhere can identify with. 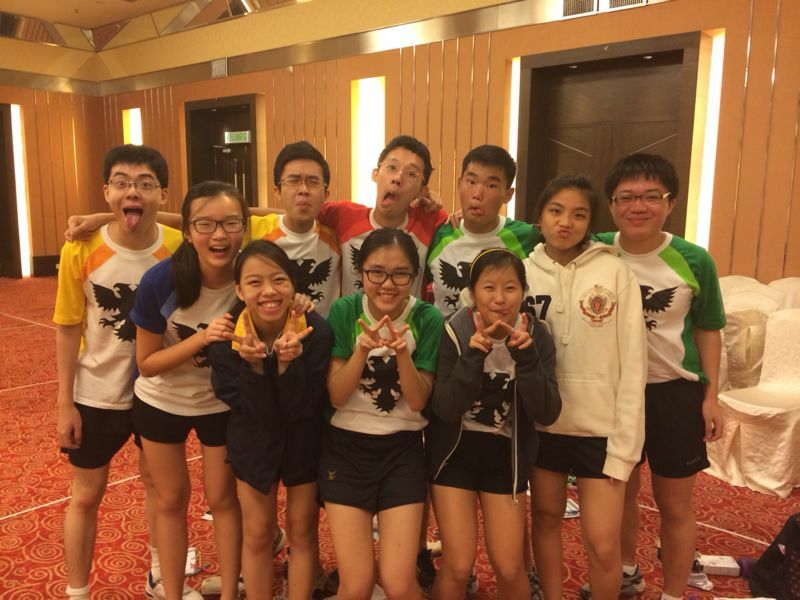 It is our love for the school and the pride we have in being Rafflesian that makes us special. The CCA Department of the 33rd Students’ Council aims to help build this unique school spirit of ours in Rafflesians through the different CCAs in school. This is because almost all Rafflesians belong to a CCA and so we want to use CCAs to help reach out to as many Rafflesians as possible. 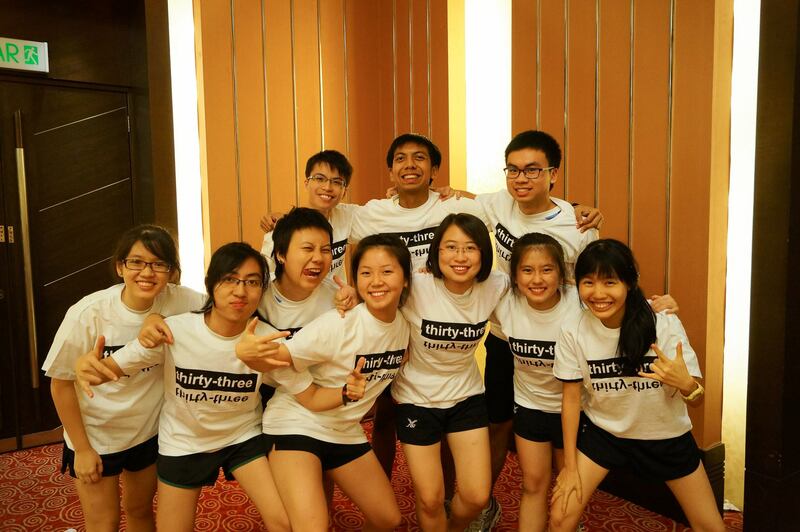 We, the 33rd CCADers are a bunch of crazy, fun-loving, hyper people who are passionate about making a difference in our school and make school a livelier and more enjoyable place for all Rafflesians. We do so by working together with the CCA leaders to help make the school a livelier and more enjoyable place through events such as Inter-House Competitions like IHC Remix and IHC Sports. We also organize Match Supports for almost all the CCAs going down for competitions where we cheer on and support our fellow Rafflesians who have worked so hard all year round, putting in all the blood, sweat and tears, to do us all proud as a Rafflesian community. The CCA Department also has new initiatives such as Spirit Week and the online Team Raffles social media platforms which help to build our school spirit to all Rafflesians both past and present. The reason why this school spirit of ours is so unique is because of our community. It’s about the connection we have with our fellow Rafflesians, about our love for one another and the support we provide to each other as a community. 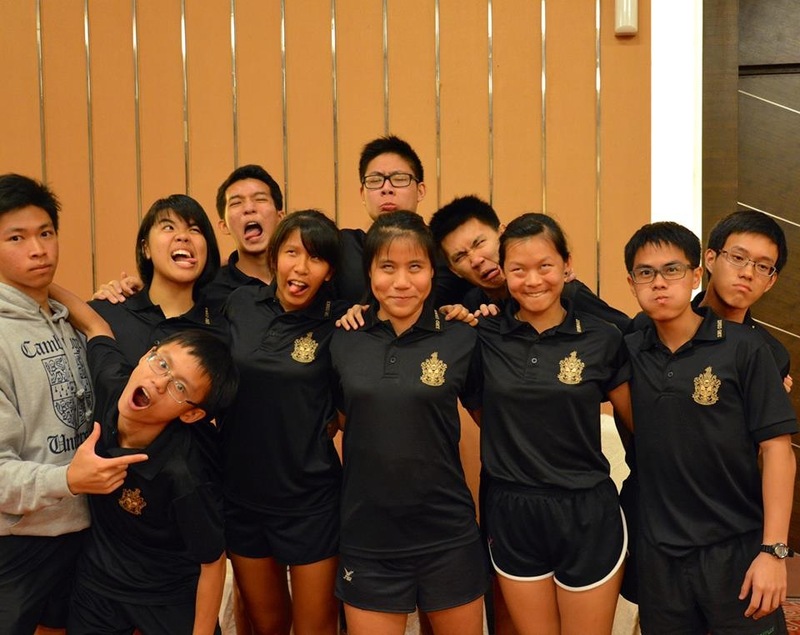 It’s about the unexplainable bond between Rafflesians all over. And it’s about our school spirit which keeps us together as One Raffles. If I have only a few words to describe what the Communications Department (or Commz’D in short) does, it’ll definitely be being the bridge – between the school, the Student’s Council and the student population. The Year 5 to 6 Raffles is home to more than 2000 students and sometimes, our opinions are easily drowned out in this huge sea of voices. We’re here because we believe everyone deserves to have his or her voice heard, no matter who you are, where you come from. The 33rd Commz’D is made of 10 councillors who manage various forms of communication within the school. From publicity, like the weekly “What’s Up This Week”, which allows students to publicize their events to the entire school via email; to feedback, like Dialogue sessions, where we gather concerns of the student body and convey it to the school management. And through these, provide a platform for student voices to be heard. It’s certainly not an easy task to look out for the interests and opinions of this huge group of students. But at the end of the day, it’s indeed fulfilling, because you get to be the voice of students, to build and bring about change within the school (like the Hodge Lodge!). So if you love getting to know what others think and feel, and are more than willing to lend a helping hand in gathering and conveying the voices of others, Commz’D may just be your cup of tea. Oh yeah, if you have any opinions thoughts on the school, do drop us an email at rafflescommzd@gmail.com. We’ll be glad to hear you out! So there you have it. Hope you’ve enjoyed reading what they have to say, and learnt more about our different delightful departments and what they do! Do watch Raffles Press for our articles on House Directorates and Functions – you wouldn’t want to miss out on them either! If you would like to apply for Council, simply click this weblink and submit your application form.